Join the REFUEL Rush! 54 Hours of Prizes! Home / Books / Join the REFUEL Rush! 54 Hours of Prizes! 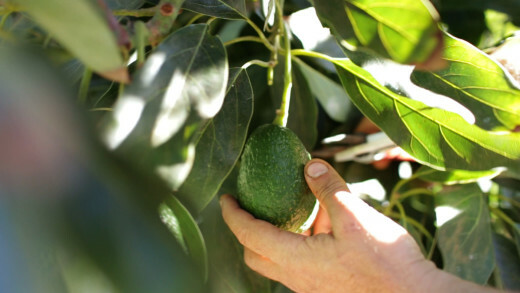 Have you ever harvested your own certified organic avocados and Buddha’s hands? Sunk your teeth into handmade Santa Barbara syrah, grenache, dolcetto or arneis, with the winemaker at your side, describing the process and answering every single question you can ask? Operated a flame throwing 1952 two-ton potting soil mixer aka concrete truck in reverse? Now you can. Or… if you simply want access to me electronically, you can have that, too. Welcome to “The REFUEL Rush”: it rewards you for early purchase, shows my publisher that we mean business and enrolls you as a champion in a movement to help men get fit, strong and healthy. Without surgery or even, necessarily, a prescription pad. I hope to reach every man I can and get to The New York Times bestseller list a third time, so I’ve created 4 book bundle packages. Each is worth at least twice the cost of the books, and sometimes 10x. Note: the book bonuses apply only to HARDCOVER copies shipped to U.S. addresses. Those are the NYTimes’ rules, not mine. When this is done, it’s done: no repeats. So get it now! IF YOU LIVE OUTSIDE THE U.S. AND ARE SHIPPING OUTSIDE THE U.S.: USE http://www.hopshopgo.com/, which allows non-U.S. customers to have goods delivered to a U.S. address; the goods are then forwarded to wherever you live. You actually save 10% on international shipping. ALL OFFERS EXPIRE AT 5PM PST THIS WEDNESDAY, January 15th, 2014. No exceptions. Most of you know I have been working to help men REFUEL. I’ve had to say “not yet”. But the time is now: a woman who wants to help a man and REFUEL her whole family can opt in. Women are instrumental advocates for healthy change in the home; let’s reboot men’s health together. I hope you enjoy this as much as I enjoyed putting it together. UPDATE: 1.15.14, 5.:01PM PST: THE REFUEL RUSH IS NOW COMPLETE! THANK YOU FOR PLAYING! 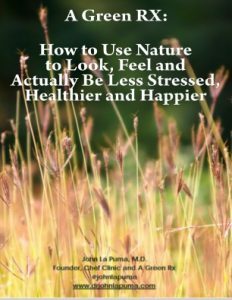 – One beautiful, solid, well-designed and powerful hardcover that you’ll enjoy for years, which can transform you or a man you care about into a healthy, knowledgable person who is an expert on how his body uses food as fuel. – The book gives again and again. Buy on Amazon or Barnes and Noble or Books a Million. No form required. – Join me for a live one hour Q&A next month, exclusively for people who pre-order multiple copies. You’ll have my undivided attention for an hour and I’ll try to answer any and all questions you come up with. – Auto-eligible for a personalized, signed copy of REFUEL. Just take a picture of yourself with your 3 books next week (any time from January 20-26) and post it on Twitter with two hashtags: first, #RefuelBook; and second, your favorite hashtag from the book (my favorite? #CYCYP). Whomever gets the most RTs wins! Decision of the judges (my crack social media interns) is final. Interested in this package? Great! Just buy 3 *print* books on Amazon or Barnes and Noble or Books a Million and fill out this form. If you already bought a hardcover copy, no problem. Just buy 2 more copies on Amazon or Barnes and Noble or Books a Million and fill out the same form. – Chance to enter the Twitter Photo Competition (details above!). – 15 days free access to Rouxbe Online Cooking School: Rouxbe (“ROO-bee”)–a members-only, online cooking school delivering 21st century culinary and wellness instruction. The videos are awesome, over 120k students rave about the classes, and you get full access to all instructional video recipes, technique lessons and general cooking courses for 15 days. Interested in this package? Fantastic. Buy on Amazon or Barnes and Noble or Books a Million, fill out this form with your receipt. Magic! – 1 bottle of La Puma Dolcetto 2012, signed and numbered, limited release (410 bottles made): must be picked up in person (at the half day group tour). Interested in this package? Unbelievable. Since there are only 10 spots, buy your package on 800CEORead here. Or, call Michael, our representative there, directly at 414-236-7323 to buy. Then complete this form. First come, first served. – I will give one 60-minute keynote at a venue of your choice in the US or Canada, timing and content to be mutually agreed upon, within the next 18 months. Travel and hotel not included. – An expenses-paid evening in Santa Barbara with me to discuss anything you want at a mutually agreed upon time. This will likely be a two hours of cooking in my own kitchen, followed by dinner I’ve made for you, plus an hour or two of talking over my hand crafted, personally made wines from the best vineyards in Santa Barbara County. Or it could be at one of my favorite downtown Santa Barbara restaurants, preceded by a personal tour of a certified organic avocado orchard that I manage (and a 1952 potting soil mixer that has a mind of its own). Or it could be or a hands-on seminar in permaculture principles and rare citrus growing, tested and put into action (bring your boots: there is a shed full of tools). You’re welcome to invite one friend or colleague to join in on the fun. My 60-minute speaking engagements range between $30,000- $60,000, and I rarely do consulting. This is an exclusive offer. This will be a life-changing, amazing, personal visit, and I can’t wait to meet you. – Limited edition, signed and numbered La Puma Cal-Ital Santa Ynez wine sampler (Dolcetto 2012, Sangiovese 2008, Arneis 2012), signed by Dr. La Puma: Honea Vineyard and Estelle Vineyard. – Limited edition, signed and numbered La Puma Santa Ynez Rhone sampler (Syrah 2012, Grenache Rose 2010, Grenache 2012, Grenache Blanc 2010): Honea Vineyard, Estelle Vineyard, Thompson Vineyard, Camp 4 Vineyard. Interested in this package? I’m stunned and grateful. Since there is only 1 spot, buy your package on 800CEORead here. Or, if you don’t have time to wait online, call Michael, our representative there, directly at 414-236-7323 to buy. Then fill out this page to seize this opportunity. Thank you!